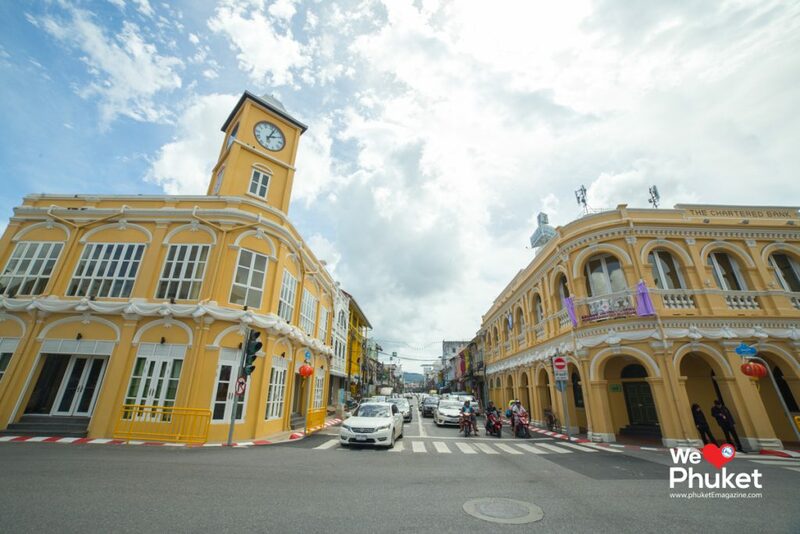 Beside the many beach destinations, Phuket’s Old Town on the island’s east coast has grown to be one of the favourite tourist attractions on Phuket. Every day you can see tourists strolling along its streets taking photos and window shopping. 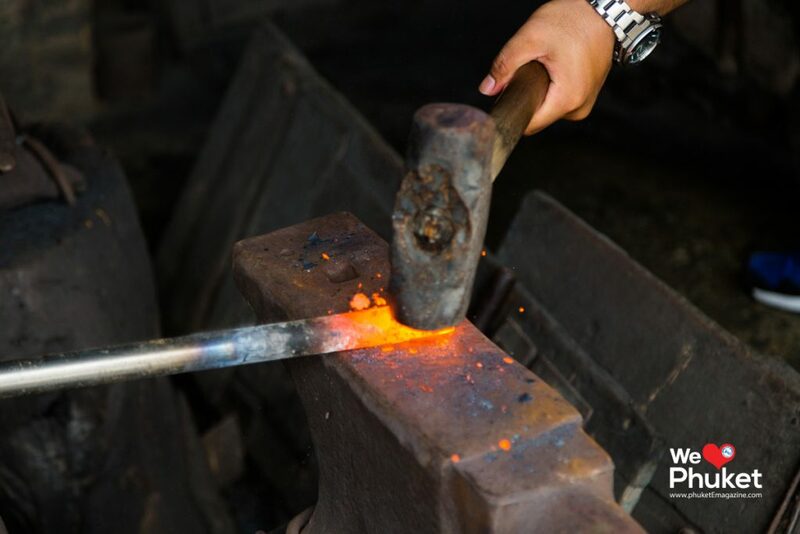 However, Phuket Old Town is much more than a photo opportunity and once had a prolific past featuring a large market called ‘lard yai’ and many other interesting facets to it that not many people know about. 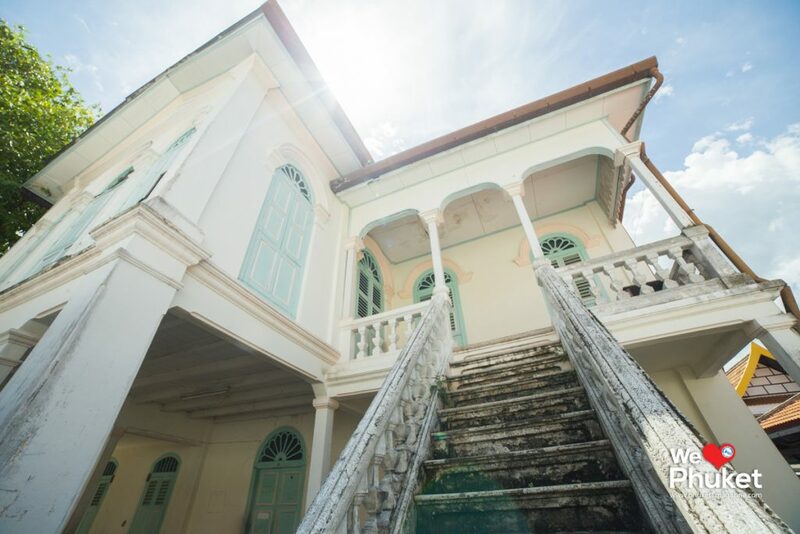 In the past Phuket Old Town was known as Tung-Ka and nowadays, community-based tourism provides a tour of the old quarter. Khun Don Limnontapisit is the leader of this community-based tourism group and Khun Somyot Platan is a member of the community. 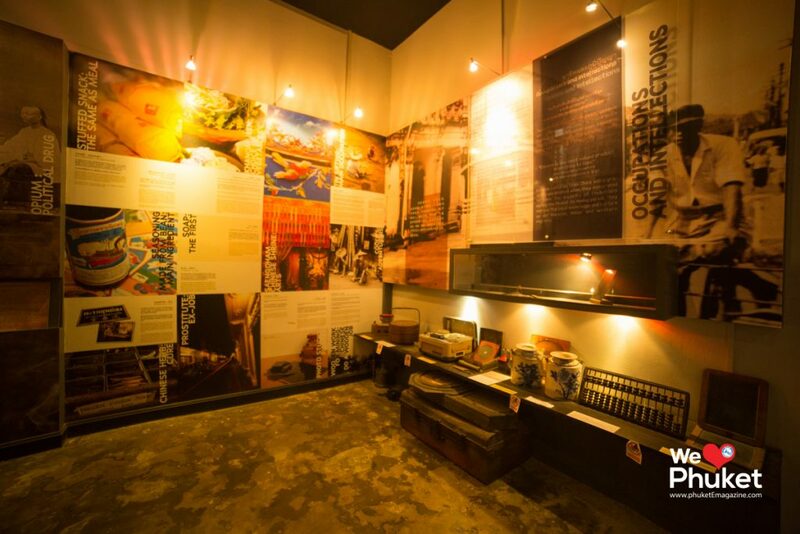 The tour starts at Thai-Hua museum by describing the Chinese people who came to live in Phuket and who later became the ubiquitous Thai-Chinese who nowadays make up a large part of the population of the island. It describes how they ate, dressed, lived, and studied. In short the tour teaches about their culture and how it developed. 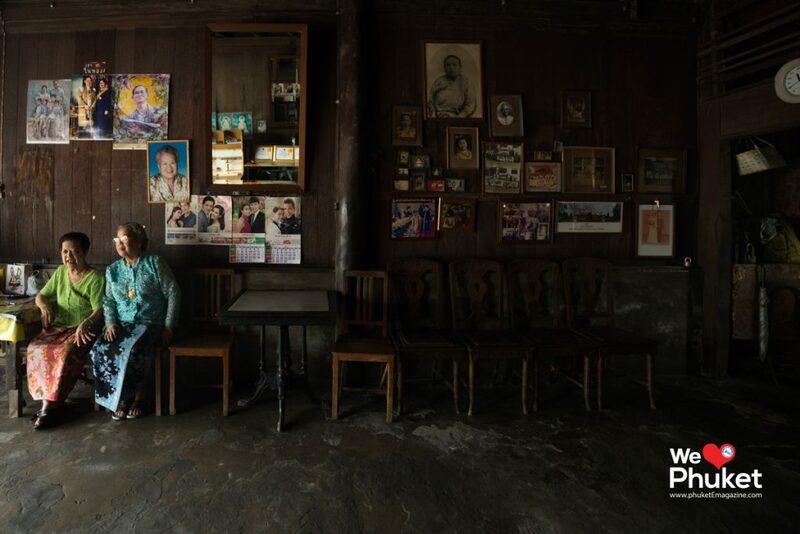 Moving along to the next stop on Krabi Road, the tour will take you to a house that used to belong to Khun Nitedjeennanak, but now his grandchildren have opened the house up for visitors. 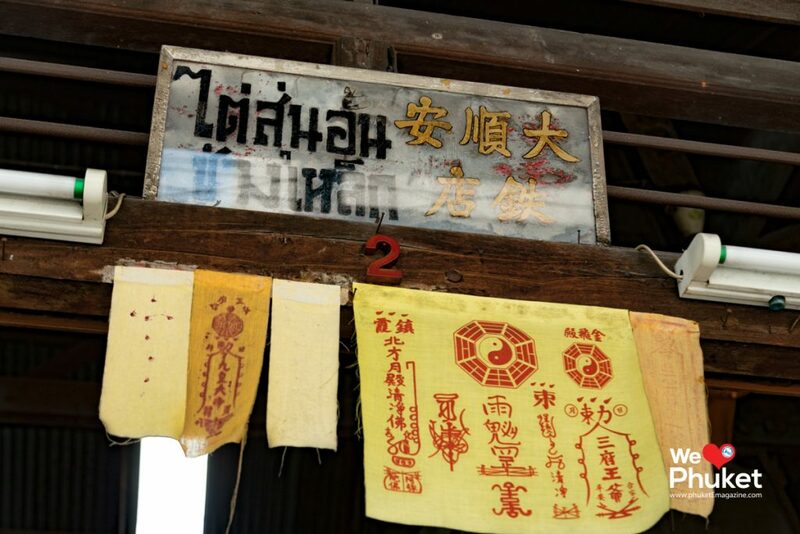 In the house you can learn about the culture of the Thai-Chinese in bygone days and try traditional local food like ‘poontaekoi’ (a sort of cookie), drink coffee, and talk with the owner of the house. 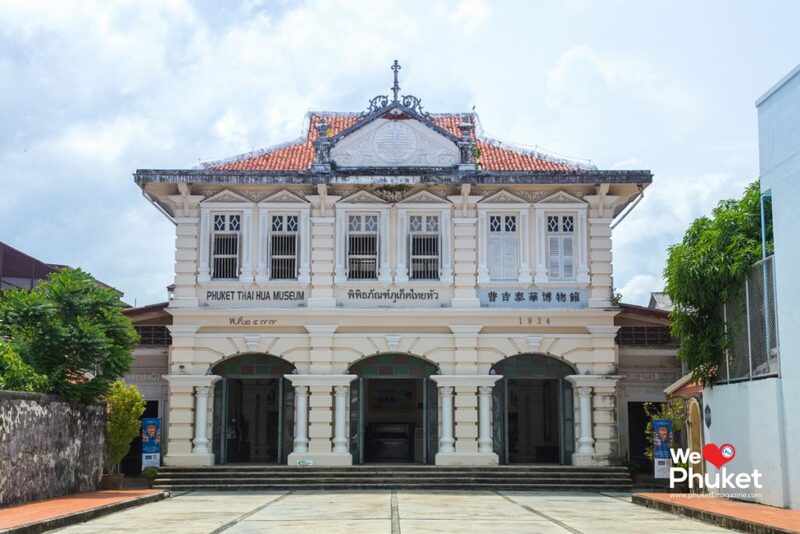 Next on the agenda are the Sino-colonial style buildings, still along Krabi Road. We stop at one where the owner of the house is an elder in the community named Po-Teng. This house is where the mature members of the community gather. In the past, Po-Teng used to sell ‘A-Pong’ for a living. 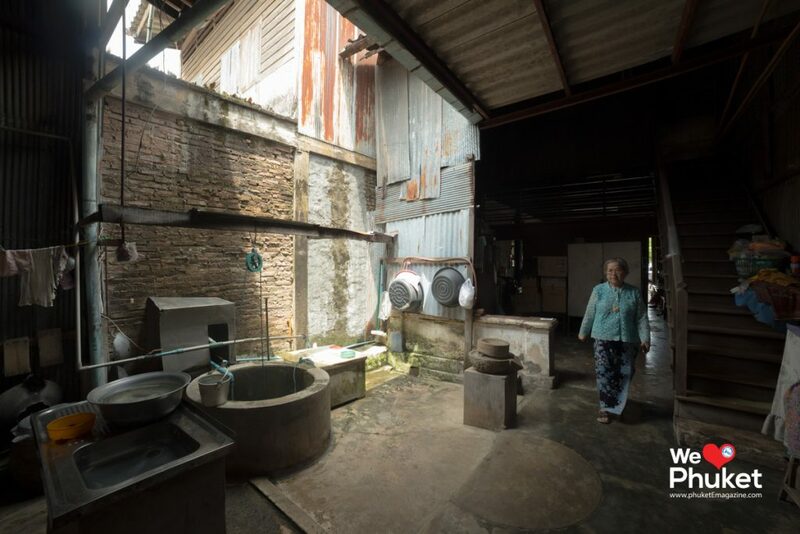 The house displays many old-fashioned implements such as a charcoal stove, a stone flour grinding machine, a typical kitchen from those days and a centrally located well. It’s all very fascinating. 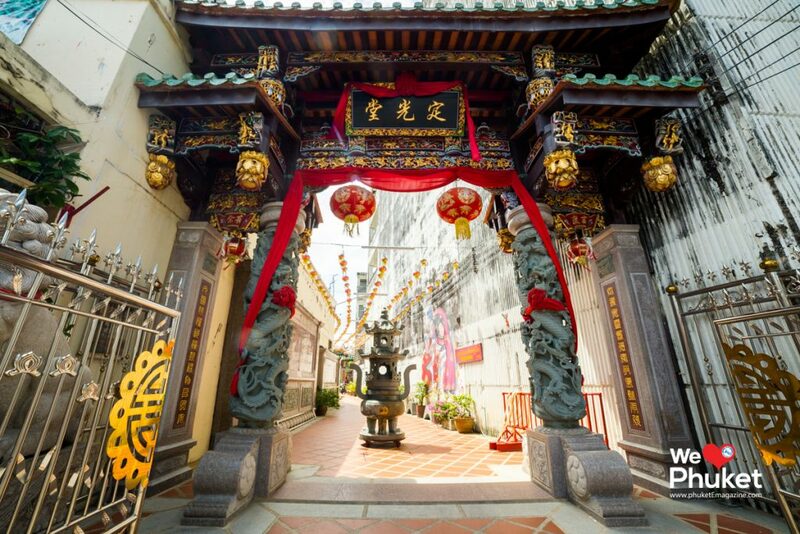 Using a ‘secret’ alley, we next proceed to Thalang Road to the Sangtam Shrine where the shrine’s caretaker tells us about the rich history of the place of worship. 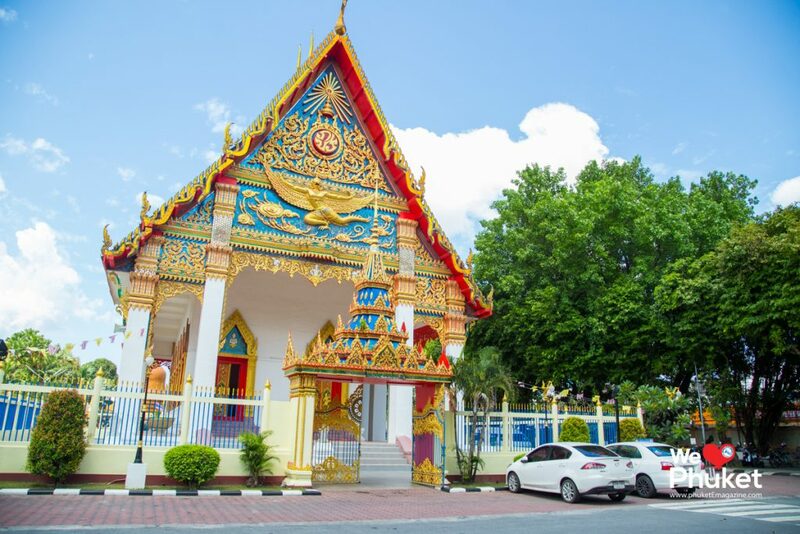 After the shrine we head back to Thalang Road and walk past the Chinese community house, the tourist information centre, Muslim and Sikh shops – all the time realizing that this cosmopolitan town is full of different cultures, religions, and ways of life. Each group is so diverse yet everyone is living in harmony. The colourful facades of the Sino-colonial buildings make this tour a memorable one and it’s easy to see how interesting the past was in this culturally rich town. 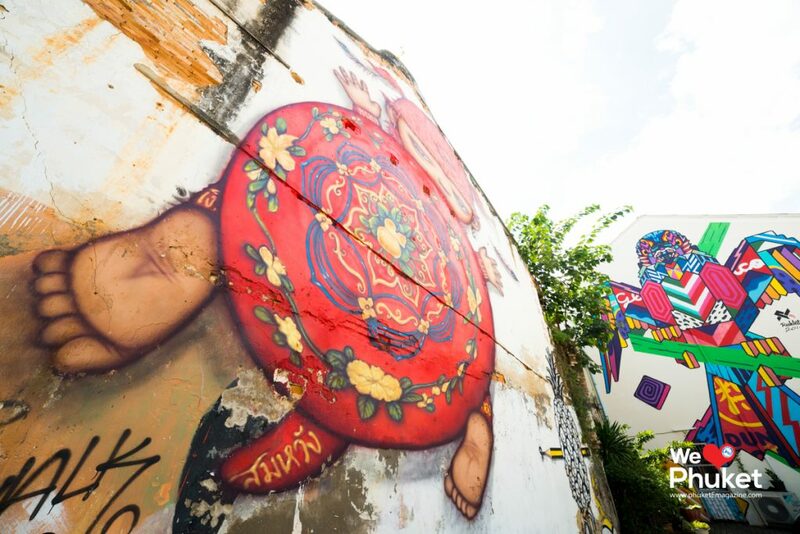 In this quarter there has recently been a surge in vivid street art mural paintings that adorn the side of the old buildings so we take some impressive photos of the colourful wall images as we walk to Soi Rommanee where we visit the house of a blacksmith from the tin-mining era of the island. 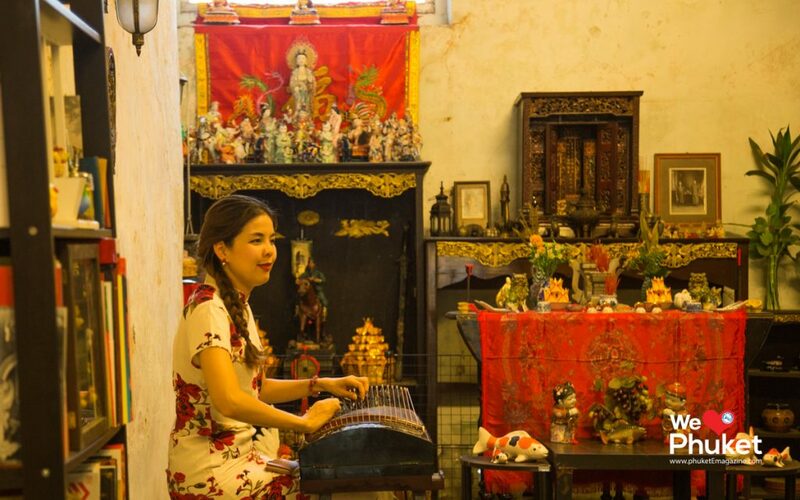 It’s almost noon and I’m starting to feel hungry so the next stop is 92 Thalang Road where we’re to have lunch but before we eat, we listen to traditional songs played on their original instruments at the 100-year-old house. In the kitchen a member of the community prepares Hokkien noodles for us. 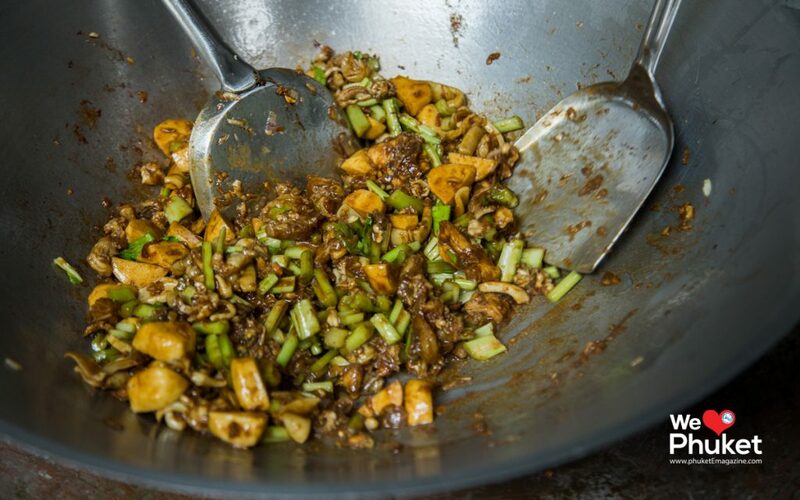 They’re delicious and all the more so because they’re prepared according to the original recipe. 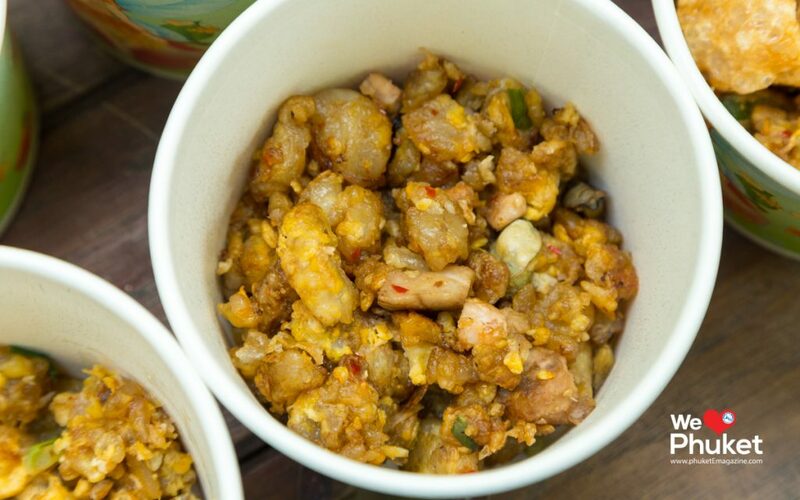 The freshly cooked noodles are also served with rice, chicken, and ‘o-tao’, ending the meal with ‘o-aiew’ which is very refreshing. And so we end the Phuket Old Town tour full of knowledge and memories that we couldn’t have discovered if we’d have walked around on our own. 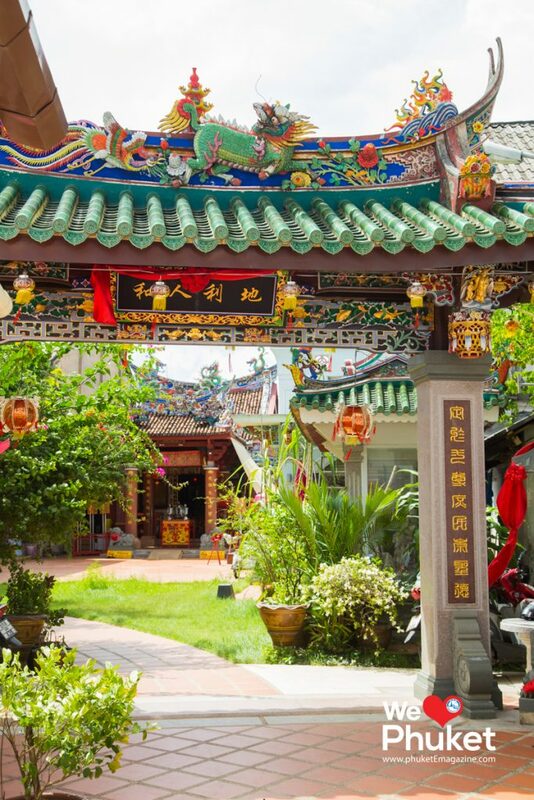 If you come to Phuket don’t forget to check out this community-based tour. It’s well worth it.